Earlier today, we reported that Samsung has released a Beta version of its Internet client on the Play Store, and now we’ve uncovered that it actually includes a sketch of the Galaxy S8; leading us to believe that this will be the build (if not, a later one) that ships on board the firm’s upcoming flagship smartphone of 2017. 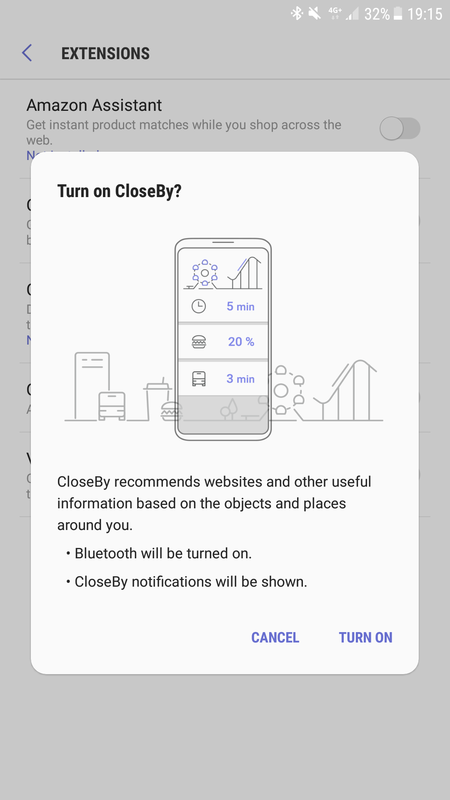 The exact location of the render can be found in the activation panel for the CloseBy extension, which you can access by heading into Settings (hidden in the triple dot menu), tapping Extensions, then selecting CloseBy from the list of options. Grab the APK from our database and give it a go for yourself.